The role of a Petroleum Engineer is to recover oil and gas from the earth in order to satisfy the energy hungry world we live in. Think exploration and drilling, think production and processing, think transport and even think environmental impact. Petroleum engineers work in all those areas and more, with a particular focus on the economics that drive this highly volatile industry. If there’s a more sustainable way to do it, one that’s better and more economical, you can bet a petroleum engineer will soon discover it. In a degree in Petroleum Engineering at a top private university in Malaysia, students will be taught how to apply practical science to the challenges and problems associated with oil and gas exploration, drilling and production. During your Petroleum engineering degree programme you will complete engineering courses in drilling, well logging and well engineering, reservoir engineering. Each of the degree subjects will give you a good knowledge of oil and gas engineering. Students after SPM or O-Levels can enter into a Foundation in Science or Foundation in Engineering at the best private universities in Malaysia for 1 year before continuing on to the 4-year BEM Accredited Petroleum Engineering degree. Pre-University graduates in Malaysia from programmes such as UEC, STPM, A-Levels, SAM, CPU, AUSMAT and others may enter directly into the Petroleum Engineering degree providing they meet the minimum entry requirements. Petroleum engineers work in the practical application of basic sciences to the challenges and problems associated with oil and gas exploration, drilling and production. Petroleum engineering is the exact study of how to initially locate and subsequently extract a variety of energy resources such as natural gas and oil from the earth’s surface. In simple terms, it is an engineering field that’s basically concerned with a wide range of activities which are generally related to the extraction and refining of fossil fuels. It is worth mentioning at this stage that both exploration and production are usually considered to fall within the upstream sector in the gas and oil industry. Petroleum engineering is more concerned with the exploration bit and is more inclined towards maximizing the economic recovery of a variety of hydrocarbons from the subsurface reservoirs. Petroleum Engineering is an important role right across the entire oil and gas industry and thrive on working in multidisciplinary teams. Most Petroleum Engineers work as Reservoir Engineers, Drilling Engineers or Production Engineers, but there are engineers who work in Petroleum Economics and Natural Gas Engineering too. Below you can find information on the role that each of these types of Petroleum Engineers plays in the process of recovering oil and gas for use by us all. At the most basic level a Drilling Engineer is in charge of drilling the well to produce oil or gas. However it goes much ‘deeper’ than that. Drilling Engineers develop, plan, cost and supervise the operations necessary for drilling oil and gas wells. They are involved from the initial design of the well to testing, completion and, finally, abandonment. In the planning phases, the Drilling engineer would be involved in estimating the value of the reserves, estimating the costs to access them, acquiring necessary property by lease, conducting a geological survey, designing a well bore plan, and providing a layout of the type of equipment required to reach the depth of the well. Drilling Engineers can work both in an office or out in the field at well sites, which are on land, on offshore platforms or on mobile drilling units. They are employed either by the operating oil company, a specialist drilling contractor or a service company. A Production Engineer’s job involves designing and selecting the equipment that will get the well to produce oil and gas after it is drilled. They coordinate the installation, maintenance and operation of the mining and oilfield equipment, and manage the boundary between the well and the reservoir using perforations, sand control, artificial lift, and downhole control. The Production Engineer will then oversee the well to ensure it is flowing making oil or gas and continues to be economically viable. They also recommend modifications to maximise the efficiency of oil and gas recovery Production Engineers work both in an office and out in the field at well sites. Reservoir Engineering involves assessing oil and gas deposits. Reservoir engineers firstly estimate the size of a reservoir, then determine how much oil and gas reserves are in the reservoir and finally work out how to maximise the economic return from extracting them. Because it is usually not possible to physically see what’s under the ground, a Reservoir Engineer needs to find other ways to determine what’s there. They work together with geologists and geophysicists to find the reserves of oil and gas relying on the basic laws of physics and chemistry that affect the behavior of liquid and vapour phases of oil, natural gas, and water in rock. The next step is to determine the economic viability of extracting the gas. Then, assuming the well is viable on paper, a well is produced. After that, the Reservoir Engineer will keep track of how much of the reserve has been produced along with how much there is left to produce from the reservoir. causing overproduction. Overproduction is producing more than can be stored, transported, processed, or sold at any given time. This generally leads to wasted resources and shortens the lifespan of the reservoir. Reservoir Engineers generally work just in an office, but may sometimes be required to do site visits. Surveillance engineer – involves monitoring existing reservoirs. Production engineer – involves optimising production rates of oil and gas. Simulation modelling – involves conducting simulation studies to locate potential reservoirs. Geothermal engineer – involves the development and maintenance of hot water or steam reservoirs. the effect of tax/royalty systems. Contracts and purchasing oil and gas properties. Petroleum Economists are also involved in the assessment and management of the technical, economic and other risks associated with the different phases of an oil or gas projects. Petroleum Engineers specialising in petroleum economics can work for oil and gas exploration and production companies, service companies, banks and investment houses and government agencies. Natural Gas Engineering is the application of Petroleum Engineering know-how to the development of natural gas resources. Natural gas has becoming an increasingly significant source of energy to people all over the world. Not only does the world have huge resources of natural gas but it also offers lower greenhouse gas emissions than other hydrocarbons. Malaysia has significant resources of both conventional and unconventional natural gas. If you want to become a petroleum engineer, first & foremost you should collect relevant information to help your decision making. Since there are so many universities for Petroleum Engineering, you will surely find it hard to select the right university that best suits your individual goals. It is important to find an accredited university with an English-speaking student environment that can deliver quality education along with employment prospects. 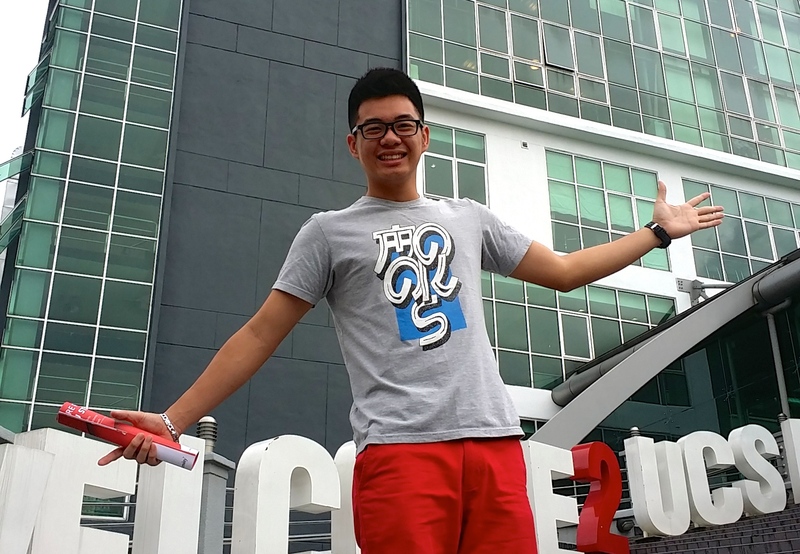 Malaysia is offering the petroleum engineering degree course at their new state-of-the-art campus at Putrajaya. Heriot-Watt University is a top ranking university in the UK. 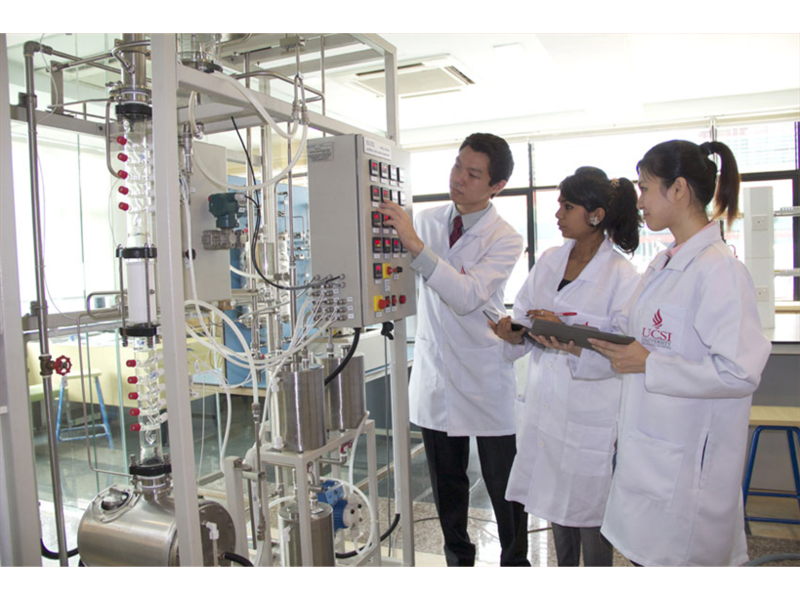 Asia Pacific University (APU) is a top award-winning technology private university in Malaysia and offers the Bachelor of Engineering (Hons) in Petroleum Engineering to its list of BEM accredited engineering degree programmes. 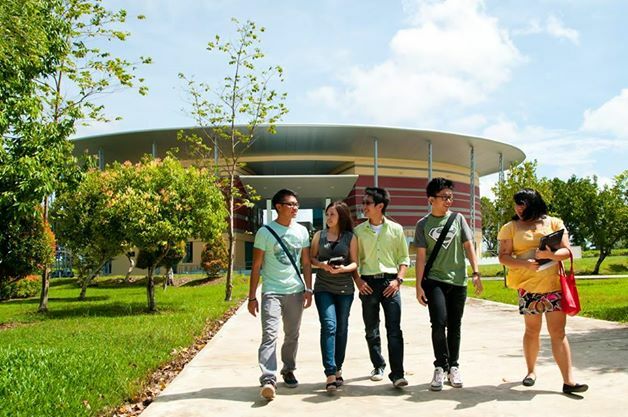 Curtin University Sarawak is a top ranked university in Malaysia for Petroleum Engineering having won many awards. Students in Malaysia can consider an affordable and yet high quality of education in petroleum engineering, students can consider UCSI University at Kuala Lumpur. UCSI University is ranked Excellent or Tier 5 in the SETARA 2013 rating. UCSI University is famous for their engineering courses and has more than 28 years of experience in higher education in Malaysia. Students at UCSI University have access to excellent facilities and their unique internship program for 2 months of each year of studies. 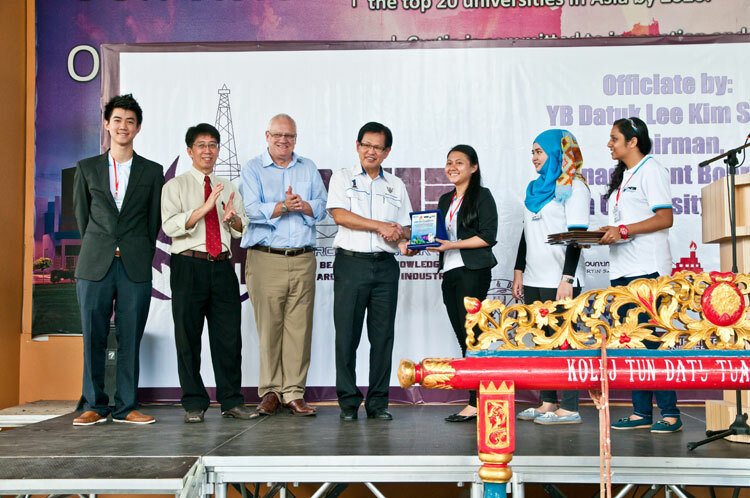 The Petroleum Engineering degree course at UCSI University is accredited by the Board of Engineers Malaysia (BEM). Once you complete your Petroleum Engineering degree you could work in the oil and gas industries in Malaysia or around the world in related areas such as economic evaluation, oil and gas law, finance and accounting, environmental assessments and industrial safety. As a petroleum engineer, you will be a problem solver using science to improve exploration methods, drilling operations and the production of oil and gas. Petroleum Engineers have a wide choice of job opportunities in Malaysia and overseas. Whether it’s working outdoors on offshore drilling and production platforms, or working in the offices of oil and service companies in large cities around the globe – there’s no end to the opportunities available to a Petroleum Engineer. The field of engineering is very wide and even though they all tend to have some very strong science based foundation, they also do vary greatly in terms of training requirements, job opportunities and salaries in Malaysia and globally. Petroleum Engineers are highly sought after in Malaysia and throughout the world. Using a variety of chemical tests, rock samples and numerous measurements; this field is very critical when determining where exploration wells are located. Salaries for petroleum engineers are one of the highest in Malaysia. (GDP), is aimed at raising the sector’s output and meet energy demand over the 10-year period. It is also aimed at enhancing downstream growth, making Malaysia the number one hub for oil field services and building a sustainable energy platform for growth. The Gumusut-Kakap field, which recorded its first oil production in Nov 2012, is expected to reach a maximum of 25,000 barrels per day (bpd) after ramping up two wells. Located in offshore Sabah as Malaysia’s second deepwater development, the field’s full development comprises 19 subsea wells, a permanent semi-submersible floating production system with a potential to produce a maximum of 120,000 bpd. In positioning Malaysia as the leading oil and gas (O&G) hub in the Asia-Pacific region by 2017, Malaysia Petroleum Resources Corp (MPRC) was formed to promote, catalyse and transform the sector. Notable projects in the O&G (oil and gas) sector include the RM60bil Refinery and Petrochemical Integrated Development project in Pengerang, Johor, and the RM3.8bil Sabah Oil and Gas Terminal in Kimanis. been transported from the reservoir, and into crude oil terminals. Investment opportunities include processing and refining of the crude, petrochemical plants, logistics and retail transactions. Downstream has different players, and a more diverse range of interests. In oil refining, there are Petronas Penapisan (with plants in Terengganu and Melaka), Shell, ExxonMobil and Conoco. Petronas Gas and MLNG are involved in gas processing and transmission. Gas distribution is handled by Gas Malaysia. The retail arm has many interests, including Petronas Dagangan, Shell, ExxonMobil and Conoco Phillips (under the Projet brand). Petrochemicals have the most diverse range of companies, including Optimal, BASF, BP, Amoco and Idemitsu. All these are evidence that the job potential for Petroleum Engineers in Malaysia is good. In addition, Petroleum Engineers can work any where in the world. ‘Petroleum Week’ organised by the Society of Petroleum Engineers (SPE) Student Chapter of Curtin University, Sarawak Malaysia (Curtin Sarawak). Grace Rantai (3rd from right) presenting a souvenir to Datuk Lee as (L-R) Toh, Chua and Mienczakowski and others look on. work experience, so engineering programs with internships in which students earn academic credit for structured job experience, are valuable as well. Job Outlook According to the USA Department of Labour, Employment of petroleum engineers is expected to grow 17 percent from 2010 to 2020, about as fast as the average for all occupations. Oil prices will be a major determinant of employment growth, as higher prices lead to increasing complexity of oil companies’ operations and require more engineers for each drilling operation. In 2010, the median salary per year was US$114,080 per year In Malaysia. Petroleum Engineers can earn yearly from RM 37,094 – RM 365,156 depending on their experience. Petroleum geologists find hydrocarbons by analysing subsurface structures with geological and geophysical methods. Reservoir engineers work to optimise production of oil and gas via proper well placement, production levels and enhanced oil recovery techniques. They use computer simulations to assist in the identification of risks and to make forecasts on reservoir potential. Production engineers manage the interface between the reservoir and the well through such tasks as (but not limited to) perforations, sand control, artificial lift, downhole flow control and downhole monitoring equipment. 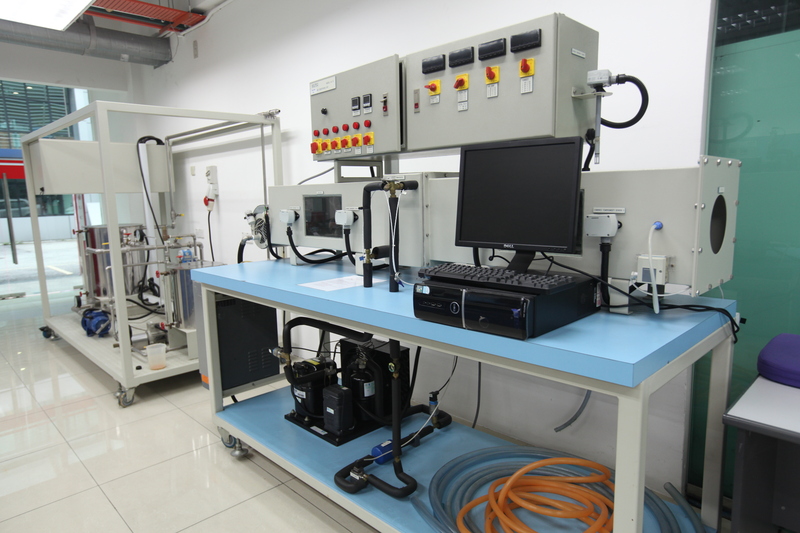 They also select surface equipment that separates the produced fluids (oil, natural gas and water). Drilling engineers manage the technical aspects of drilling both production and injection wells. They work in multidisciplinary teams alongside other engineers, scientists, drilling teams and contractors. behavior, but also in automation of oilfield production and drilling operations. Petroleum companies own many of the world’s supercomputers. Petroleum engineers have a future full of challenges and opportunities. They must develop and apply new technology to recover hydrocarbons from oil shale, tar sands, and offshore oil and gas fields. They must also devise new techniques to recover oil left in the ground after application of conventional producing techniques. Since many petroleum companies conduct worldwide operations, the petroleum engineer may have the opportunity for assignments all over the world. Basically, Petroleum engineers design and develop methods for extracting oil and gas from deposits below the earth’s surface. Petroleum engineers also find new ways to extract oil and gas from older wells. liaising with clients to keep them informed of progress.